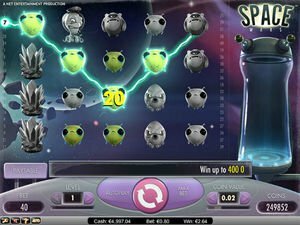 No Download Casinos is full to the brim with Flash games coming out nearly every day across any number of genres as well as those that blend the borders between different games types and share elements among them. 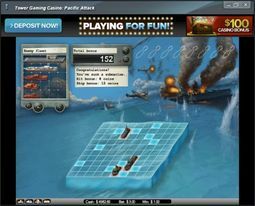 Instant casinos offer Strategy, Action, Shooter, Adventure, Role Playing, Casino and Massive Multiplayer Online games are among the many that release daily, making it nearly impossible for a single player, or even a community to sort through them all and make decisive calls on which are the best of the best. A true standout in the strategy category is Dungeon Overlord which has the player managing resources to expand and defend their evil dungeon as well as waging war against nearby rival dungeons through the use of army building. Similarly, Kingdom Rush is a new and revamped take on the classic and often ignored tower defence category that sorely needed a revival in such great form. There are many creative Flash games out there but Cubelands taps into the massive hit Minecraft for it's inspiration with a similar build style, but with enough difference to set it apart for casual players. The entire game is set up to allow players to be as creative as they want and need to be right from their browser without the need to worry about food or enemies. Not to mention that it is free to play. Collector Card games may have been popularized by the likes of Magic: The Gathering but War Metal: Tyrant takes Flash card games to a whole new level with all sorts of new features and ever challenging gameplay. Players can be pitted against one another as well as complete quests in order to gain new cards. A very competitive following has gathered around it to conquer one another with their personally created decks. Realm of the Mad God falls into the shooter category but is more accurately described by a name given to it's style by players: bullet hell. So many enemies, so many shots fired, so much potential for an amazing game where fast reflexes are a must and frequently being struck down while learning the ropes is guaranteed. Another shooter that sits above the rest is Freefall Tournament with its setting in a sci-fi universe where eight classes await to do battle across classic PvP games such as King of the Hill and Capture the Flag. New online casino games pop up seemingly every day from many different software providers so the best games are quick to rise to the top and are easy to pick out by the sheer volume of players that flock to them across casino sites. French Roulette and the Boom Brothers video slot machine, both created by NetEnt, rise above the rest for entirely different reasons. French Roulette is a crisp and detailed take on the classic European version of the popular table game that strives for realism. Roulette games are by far the most popular flash casino game in France, but free games are gaining in popularity. Boom Brothers is one such game that is wild, wacky, and just plain fun with an intuitive interface and cartoon-like graphics and sounds. Action games are a dime a dozen so it's rare to see one created in Flash rise up and stand out, much less two. Arcuz will give players nostalgia for the RPG and quest games from the 1990s while adding new elements that make the game well worth the time to play. Tanki Online gives players a tank and sets them loose on one another to do battle across multiple landscapes, a great way to spend a browser gaming session.